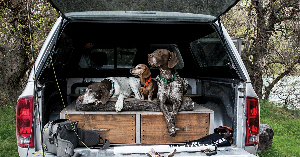 Prize: Orvis Dog Bed of winner’s choice; dog collar; Water Trapper mat of winner’s choice; Orvis hammock ($850). Statistics: This contest was opened by 19 and entered by 2 ContestChest.com members. 11% of those who opened the contest, entered it.